Sixteen-year-old Emmalyn Walker’s life is turned upside-down when she is bullied out of school for severely injuring one of the school’s top athletes. 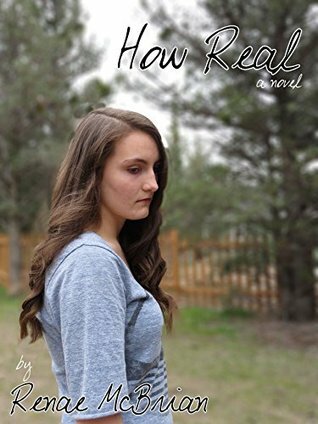 Abandoned by her friends, she befriends Larissa, the sweet girl from across the street, and Drew, a hard-to-read boy with a knack for being too honest. While Larissa does everything in her power to keep Emmalynn afloat, Drew drags her down, encouraging dangerous behavior and dark secrets. I had the pleasure to Beta read this for a friend of mine, and am so glad I did. Going into the book I wasn’t entirely sure what it was about, but I think that’s what made it better for me. The book starts out diary style, which I think can go either way. And it works in this case. Emmalyn, is a 16 year old girl who is documenting her summer vacation with her two friends. At the start it is going pretty good. Malls. Parties. Drinking(on her friends part) until July 4th. Thats when everything changes. She had had a few drinks the night before and woke up in the morning feeling like crap. She then proceeded to drive home, still a little drunk. Her mom realized this and apparently didn’t care. (The version that I read Emmalyn had been drinking all summer too and her mom had just given up at this point. That version I understand her mom not caring. Not really in this one.) So she just took the car keys. Her mom then left to the lake with a friends, not after trying to get Emmalyn and her friend to come with them though. Emmalyn and her friend, Lacy, decide to just hang out in the car which they couldn’t drive until it was time to go to this firework show that the town does. Lacy ditches Emma for this guy she is hung up on, and Emma wanders around until a girl named Katie calls her over and asks if she wants to sit with them for the show. Not long after this Lacy and the boy tell Emma they want to go back to her place. To do things. So they all go back. This is the start of the terrible night to follow. Lacy decides “Hey, let’s drink some of the vodka your mom nevers touches because she’s a recovering alcoholic but still left the alcohol in the house.” So they do that. The boy leaves at some point. I don’t remember when really. But eventually they end up in the car again just hanging out. Emma had tossed her phone into the backseat, and at some point it starts ringing. She tries to get it, but accidently moves the car out of park and it starts rolling down the driveway. It hits something. I was sitting there holding my phone, thinking “OH NO. SHE HIT A SMALL CHILD. PEOPLE WERE WALKING BACK FROM THE FIREWORKS SHOW AND SHE HIT A SMALL CHILD.” And being a mother I start crying thinking she killed the kid. It wasn’t a child. It was Katie. And she wasn’t dead. Just injured. Badly. The police show up. Of course. Then her mom comes home, wondering what the hell was going on. Katies mom yells and Emmalyn’s. Then we find out that the only thing really saving Emmalyn from facing legal consequences is that fact Katie does not want to press charges. Thank goodness. Or so we think. We also see a boy that becomes pretty important just standing in the shadows. Emma’s mom takes her phone away for a month. So that month passes by very VERY slowly for her. She is overcome by guilt. After she gets her phone back she realizes that her “friends” haven’t tried to get into contact with her at all during the last month before school starts. So of course she feels like everything is her fault. Which it only is to a certain degree. As schools draws near Emma starts to become more worried about how everything is going to go when it starts. She also gets a reminder on her phone about a sleepover that the three friends normally do. Apparently it was still on. Let me just tell you. That did not go over very well. Not at all. When school starts it no big surprise that people are bullying her. I mean, she did do a terrible thing. But even the teachers are doing it. And that is what makes me angry. Teachers are supposed to be there to help against bullies. It gets so bad that she has to leave school. While walking she see that boy again, the one from the night of the crash. And he tells her that everything is also her fault. This is how it goes for a while. Her mom lets her do homeschooling because the bullying gets so bad at school. People don’t talk to her except Drew. And he just tells her she is a terrible person. That hurting herself will make her feel better. So she starts to do that. New neighbors move in, and her mom gets really close to them. It’s just a dad and his daughter, Larissa, who is about the same age and Emma. Her mom and Larissas dad start dating and Emma hates it. She feels like her mom is cheating on her dead father. This does not help her budding depression. As life goes on Emma is getting worse and worse. The boy, Drew, tells Emma to take some pills. Not just some. All the pills in the bottle. Thank goodness Larissa found her in time. This is when we find out that Drew is her depression personified.. She has a long stay in the hospital, until she has come to the terms that Drew is NOT a real person. That she needs to get better. When she is released from the hospital she and her mother go to therapy. Emma starts getting better. One day she skips taking her medication and she sees Drew again. Then she yells at him to go away. She knows to stay healthy and happy she has to take the medication. So she does. I really enjoyed reading the book and it reminded me a lot of Falling into Place by Amy Zhang, which is another book that deals with depression and suicide. But in a different take. I recommend, highly recommend, this book. This entry was posted in Book Review and tagged book, book review, book reviewer, books, depression, how real, renae mcbrain, suicide. Bookmark the permalink.